With approximately two-thirds of US adults overweight and the increasing amount of overweight children, weight loss is a concern that touches everyone, one way or another. If you’re not overweight, it’s likely that you have a friend or family member that is. While it may be said that the media and beauty industry often portray an unrealistic standard of desired weight, it can also be said that being overweight is not simply the case of “beauty is in the eye of the beholder.” Being overweight should be approached as a health concern, not a beauty issue. Being overweight is considered unhealthy for your body, even by twenty pounds. It’s hard to lose weight, but the benefits of reaching and maintaining a healthy weight are worth it. We’ve all heard it before, but losing weight requires a combination of healthy eating and physical activity – with the goal of burning more calories than consumed. 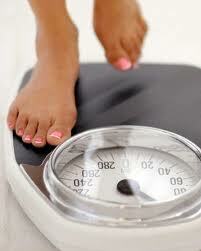 Infinity Med-I-Spa and Med-I-Trim Medical Weight Loss offers several different programs. All of our programs are physician supervised. We offer multiple medications for appetite suppression. The different medications we offer (Adipex-P 37.5mg (30 tablets), Phentermine 15mg (30 capsules), Phentermine 30mg (30 capsules), Phentermine 37.5mg (30 tablets), Didrex 50mg (90 tablets), Generic Didrex 50mg (90 tablets), Phendimetrazine 35mg (90 tablets), Maxide 50mg (14 tablets)- water pill . All medications are dispensed on site in 30 day supplies. 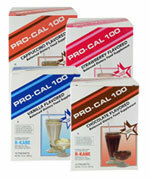 We also offer B12 & Lipotrotic injections, & our Pro-Cal 100 calorie (Meal Replacement Shakes) flavors- chocolate, strawberry, vanilla, & cappuccino. During your initial visit, you will consult with the physician to determine the best program for you. Blood pressure, weight, waist measurement, BMI & BMR will be taken every 30 days to track his/her progress.